Option will become available during checkout. Note: This software is compatible with CorelDRAW X7, X8, 2017, 2018, and 2019 (PC Version). 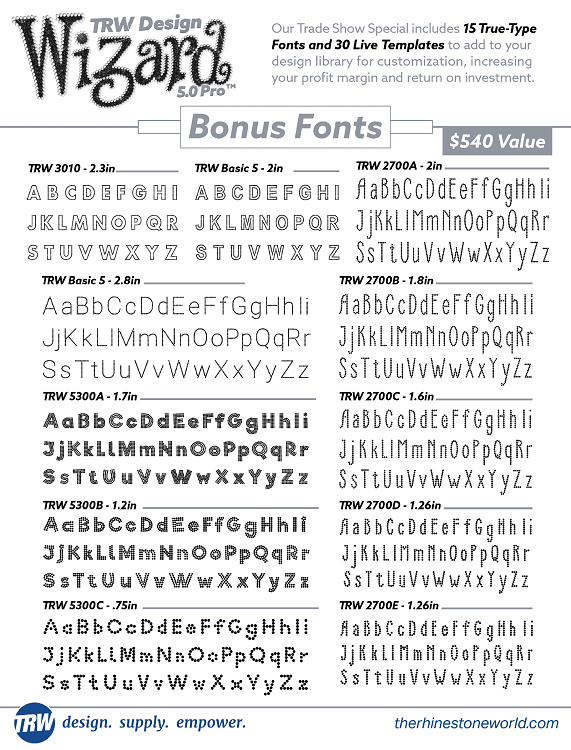 It is not compatible with CorelDRAW 2019 Mac Version. 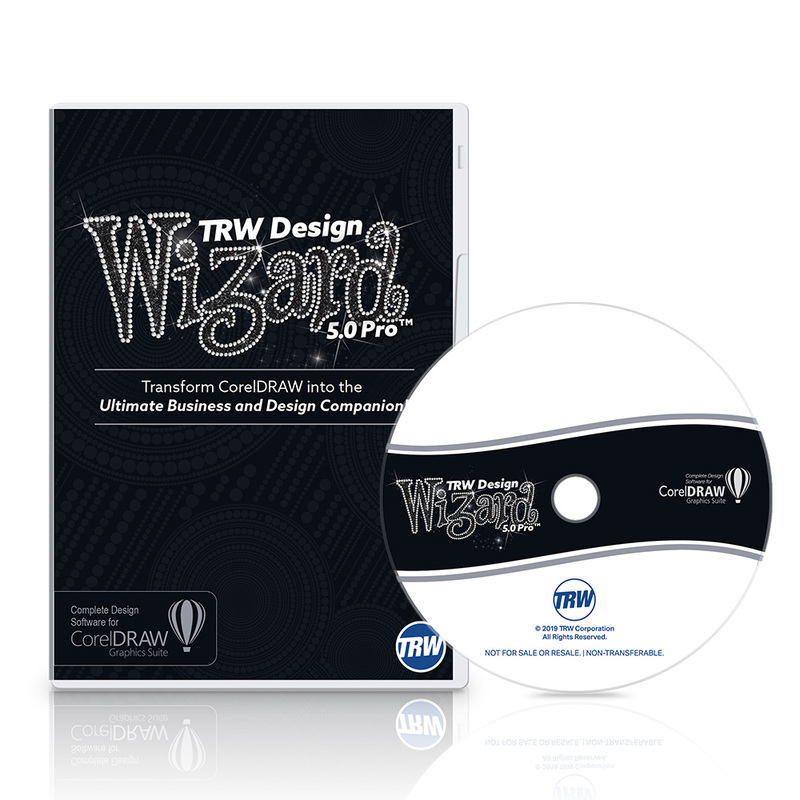 Introducing the new-and-improved TRW Design Wizard®? 5.0! 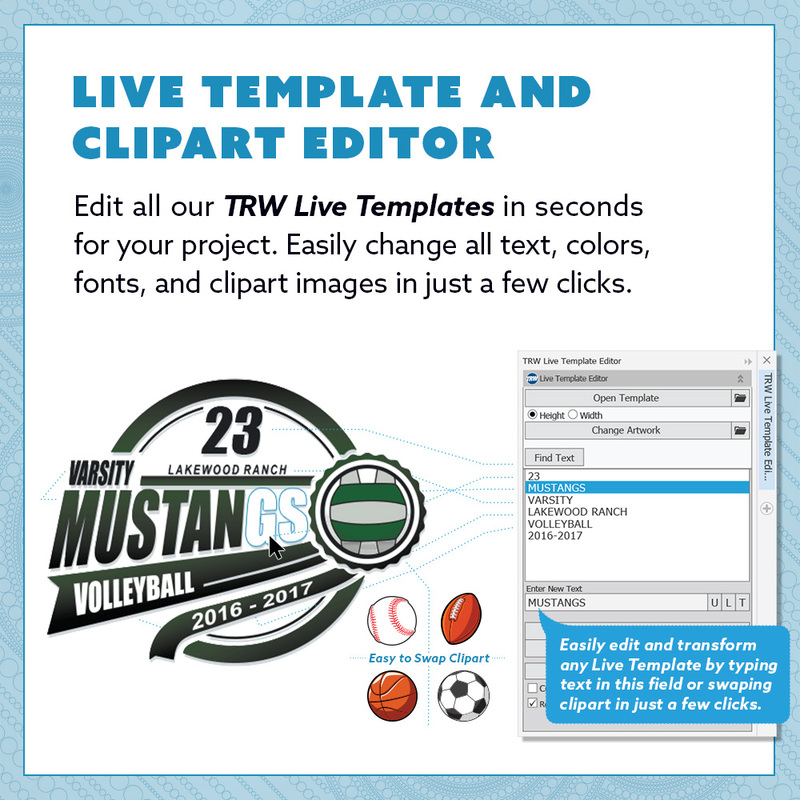 Our TRW Design Wizard 5.0 Pro is our most refined software yet! 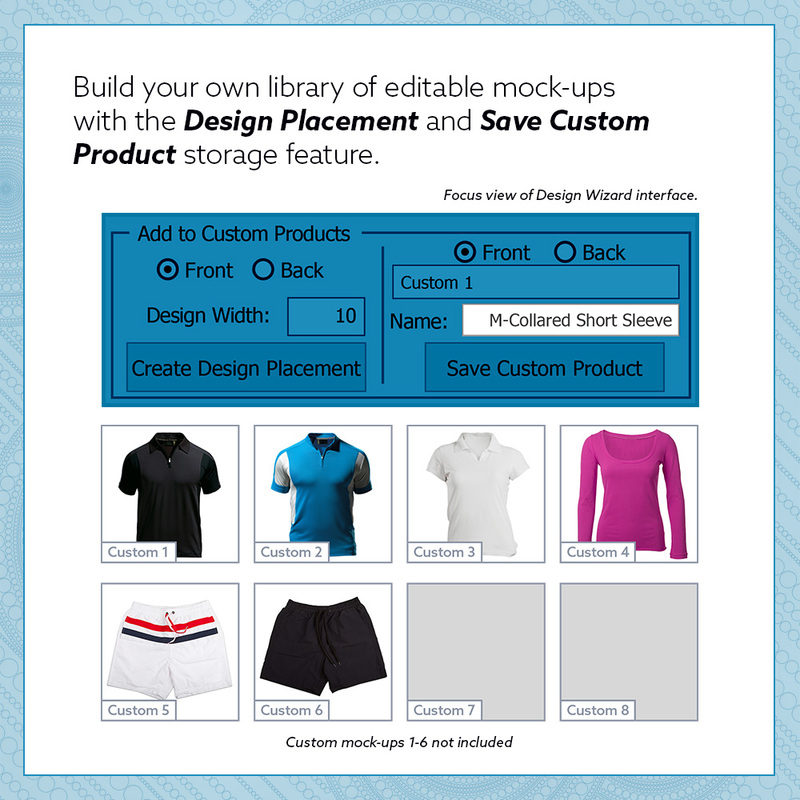 This software is loaded with great features which cover the nooks and crannies of running a custom apparel and decal business. Create custom mockups, quickly edit contoured texts, tweak and create custom envelopes for creative archs, easily price products, and more! 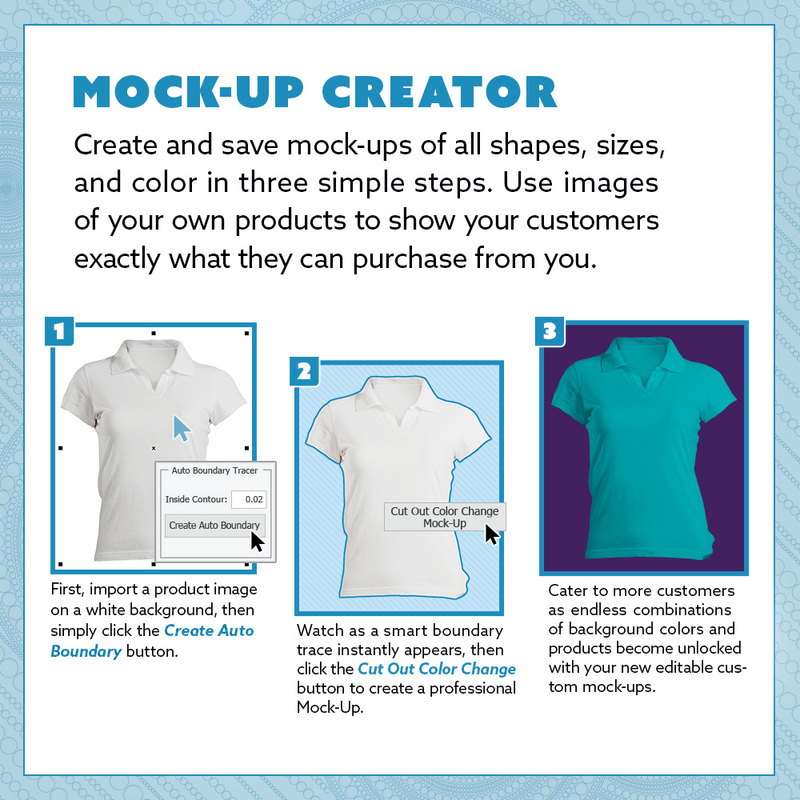 Mock Up Creator - Use your own jpgs to create color-changing mockups of products you carry. 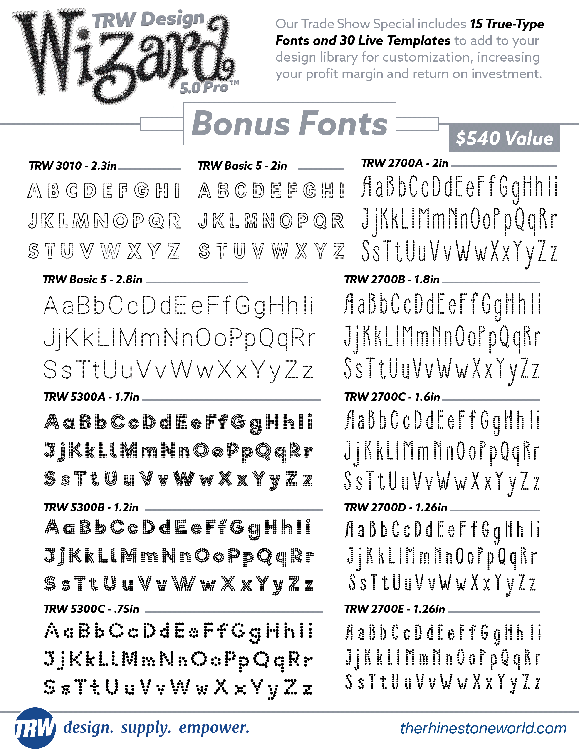 Text-Effects - Add and edit contours, easily add and remove effects, and save your custom envelopes for later use. Cost Calculator - Add your own vinyl colors and costs to the color swatches in the Wizard. 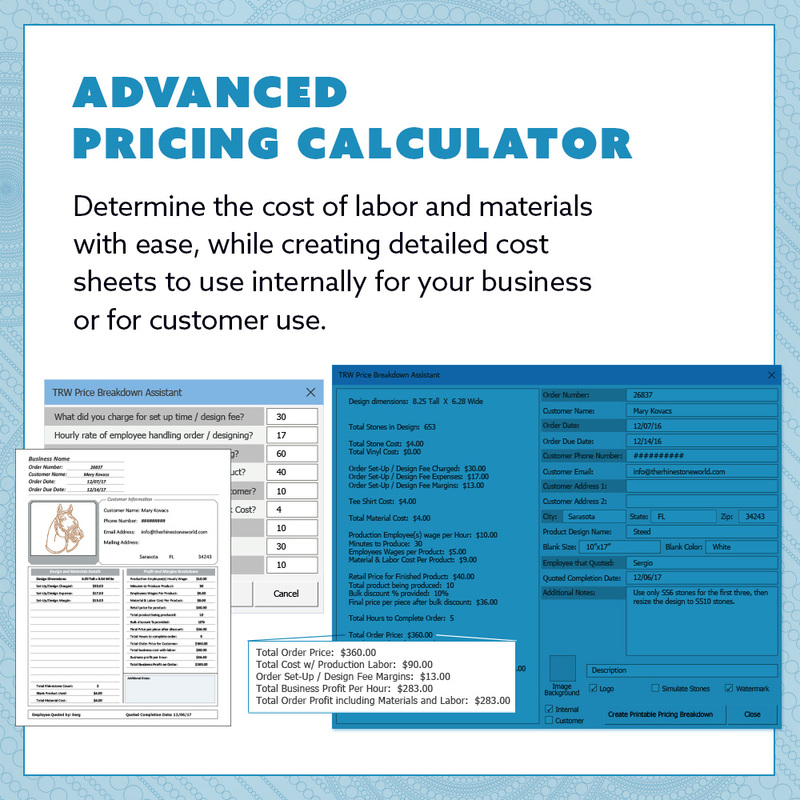 This allows for to-the-penny cost calculation on your projects involving HTV, sign vinyl, and rhinestones.